Head Hand & Heart: Ride off into the Sunset! The wedding is over. You're married! Now it's time to celebrate and start the honeymoon. 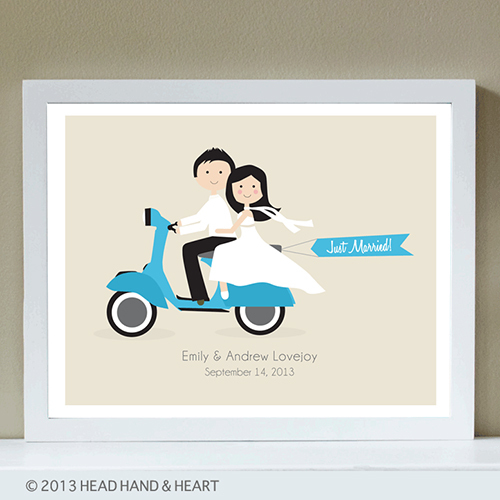 Make your getaway in style on a Vespa and remember the moment forever with a Head Hand & Heart portrait!